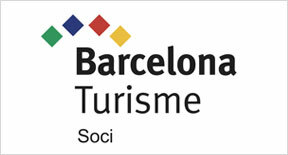 Unique and unusual educational tours in Barcelona city providing a very different view of the city, its people and its history. 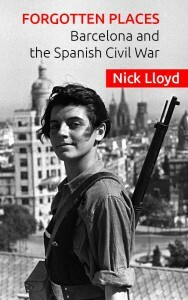 My guidebook: Forgotten Places: Barcelona and the Spanish Civil War” is now available in print and Kindle. 1. 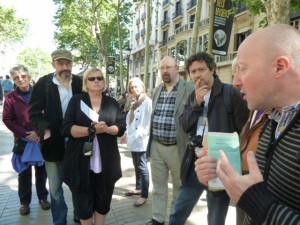 Spanish Civil War tours in Barcelona centre The walk takes you on a chronological story of the war and its consequences looking at themes such as Anarchism, George Orwell, the Republic, the International Brigades, the realities of daily life and bombing, Francoism, the exile and Spaniards in the Holocaust. Threaded into the big history are the tales of individuals from Barcelona and around the world caught up by the events. 2. 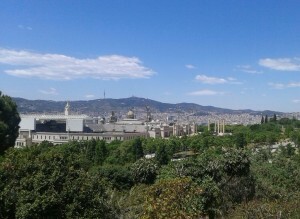 Green Barcelona. Urban wildlife and history tour This tour takes you on a rather pleasant walk around some of the most beautiful corners of Montjüic park, looking at the wildlife that lives in this dense Mediterranean city, but also Barcelona’s historical, cultural and artistic relationship with wildlife and nature. We are also very happy to recommend this Pre-Spanish Civil War tour (1835-1936) by Catherine Howley who also does Civil War tours with us. Organised by Runner Beans who do great (and uncanned) tip-funded tours.